VIT PG 2019 Application Form has been started. VIT Master’s Entrance Examination is a university level entrance examination. It will be organized by the VIT University. Candidates can get admission into PG programmes of M.Tech and MCA offered by the Chennai and Vellore campus of the university. The candidates those have a valid GATE score card can also apply. In this article, candidates can get the complete information of VITMEE 2019 application form, eligibility criteria, exam dates, syllabus, exam pattern, etc. VIT PG 2019 Application has been started from 24th March 2019. Check here for application form. The VITMEE 2019 application form has been started from 24th March 2019. Candidates can fill the online application form till 17th May 2019. Candidates have to register on the university website for filling the application form. Candidates have to submit the application fee and take the printout of filled-in application form and keep it for future use. Do not send the hard copy of application form to the authority by post. The application fee for M.Sc course is Rs.600. For M.Tech / MCA / Research courses fee is Rs.1200. The application fee can be paid through debit card, credit card, internet banking. Nationality: The candidates must be the resident of Indian National or must be graduated with any of Indian institution. NRI/PIO candidates can also apply with the different application form. Qualifying Exam: For MCA and M.Tech courses, candidate must have graduated with full-time degree from any recognized university. Minimum Marks: Must have obtained 60% marks in the qualifying degree. Appearing Candidates: The candidates those studying in their final year/semester of the qualifying exam in current year are also eligible to apply. Candidates have to produce their passing certificate before 15th August 2019. Marking Scheme: 1 mark will be allotted for each correct answer. Candidates have to study their previous qualifying exam subjects. In the technical subject portion, the questions will be asked form the related areas which candidate has choose in the application form in the applying course section. In the English communication, the question will be prepared from the Grammar, Writing Technical Instructions, Writing Memos & Writing Minutes, Transcoding, Preparing Questionnaire and Proof Reading. Click here to view VITMEE 2019 Syllabus. Must familiarize with the prescribed syllabus. Make a study schedule and give equal time to each section. Select good books, study material, reference books for preparation. Try to make short notes for revision. Maintain your health during preparation for the exam day. Hyderabad, Jaipur, Kochi, Kolkata, Lucknow, Madurai, Nagpur, New Delhi, Patna, Pune, Vellore, Vijayawada, Bangalore, Bhopal, Chennai, Chandigarh and Coimbatore. Question: Is there any other way to get VITMEE 2019 application form except online mode? Answer: No. The application can be accessed through online mode only. Question: The application fee is same for all candidates or different for reserve categories? Answer: The application fee is same for all categories. Question: Is it necessary to having GATE score card? Answer: No, it is not necessary. Question: I have 59.7% in my graduation. Can I apply for this exam? Answer: The minimum required percentage is 60%. Below this percentage, candidates will not be permitted to sit in the exam. Question: The slot booking and availability of admit card will occur same time? Answer: Yes. When you will book your slot, then just after it you can download your admit card. Question: The counselling will be conducted either offline or online mode? Answer: The VITMEE 2019 counselling will be conducted offline at the VIT Chennai and Vellore campuses. Question: What are the documents required at the time of interview/admission? Answer: The list of documents required at the time of interview is given above after VITMEE 2019 counselling section. The candidates those are applying for the VITMEE 2019 will have to book their slot for the exam. The VITMEE slot booking will be started from the last week of May 2019. Candidates can book their slot through online mode. Candidates can login to the website and choose from the available options on test schedule (date and time), test center and book the test slot. Once the slot will be booked, it cannot be changed. The confirmation should be sent to the candidates through email after the completion of slot booking. The VITMEE 2019 admit cards can be downloaded through online mode. It cannot be sent by post to any candidate. The admit card will be started downloading just after the slot booking of the exam. Without having a valid admit card, candidates will not be allowed to sit in the exam. In the admit card candidates must check the details like your name, registration number, photograph, signature, your postal address, slot, date of examination and address of the test centre. In case of any discrepancy candidate should immediately contact to the official authority. Candidates should keep their admit card till the interview/admission. The result will be published on 7th June 2019. Candidates can get their result by entering the application number and date of birth. The VITMEE 2019 results can be viewed through online mode. Candidates should keep their result till the admission in the university. It will be asked at the time of counselling. The University will shortlist the candidates for interview round on the basis of their marks obtained in the entrance exam. The university will publish the list of the shortlisted candidates on the website and it will also send the SMS to the candidate’s registered mobile number. The VITMEE counselling 2019 will be started from the 17th June 2019. The candidates those will be selected for the counselling rounds have to submit the counselling fee of Rs. 10,000/-. 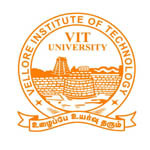 The counselling fee can be submitted in the form of Demand Draft made in favour of “VIT University”, payable at Vellore (only computerized DD will be accepted). Only after the verification of the said documents, the candidate will be allowed to participate in the counselling. If you have any other queries about VITMEE 2019, you can write your queries in the comment box given below. Applying through VITMEE but I haven’t valid gate score. Can I able to apply to MTech. Yes, you can apply. Wait for the M.Tech application process to start. Is gate score card complusory for MTECH VLSI course.please reply ASAP. Candidates can apply for M.Tech admission either through GATE scorecard or through qualifying the VITMEE 2019 entrance exam conducted by the University. Is Gate score card is compulsory.? You can apply for admissions into M.Tech / MCA through qualifying VITMEE 2019 entrance exam. Also candidates can apply for M.Tech admission through GATE Scorecard. There isn’t benefit to submit category certificate such concession in fee or reservation of seat etc. Can diploma holders sit for VITMEE? Is NTTF (nettur Technical training facility) a recognised institute? Is there any exam for MSc biotechnology? if gate exam is needed to get admission? How much marks are required in VITMEE exam for M.tech in automobile aprox..
Is there any scholarships for VITMEE toppers?